GULF SHORES, Ala. (April 03, 2017) — The results are in for ConventionSouth’s list of the “Top Adventure Resorts.” In late February, ConventionSouth Editors compiled a Facebook ballot with a list of 51 resorts that exceed expectations by offering meeting and event attendees fun and exciting activ ties that add adventure to their meetings experience. 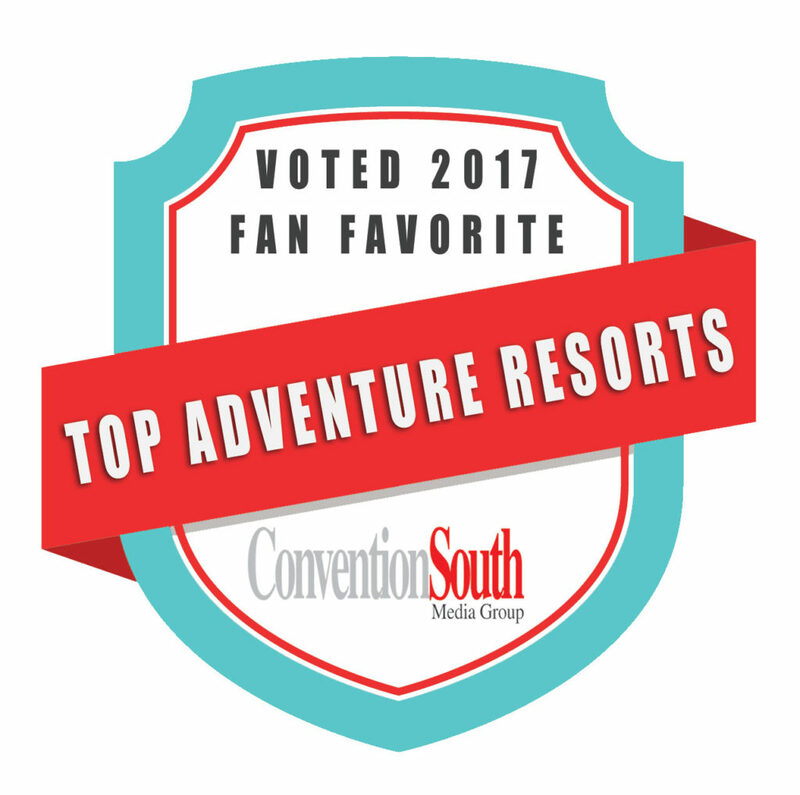 From those 51 “Adventure Resorts,” ConventionSouth readers and Facebook fans were asked to vote for their top picks. A complete list of the 51 resorts nominated by ConventionSouth editors can be found on ConventionSouth’s Facebook page. Celebrating over 30 years as a leading meeting planning resource, ConventionSouth magazine is based in Gulf Shores, Ala., and is circulated to more than 18,000 meeting professionals located across the country that book meetings held within the South. Founded and owned by J. Talty O’Connor, Covey Communications Corp. is a multimedia company that publishes nationally distributed magazines for targeted markets. In addition to ConventionSouth magazine and its ancillary titles, Covey Communications Corp. also publishes SportsEvents magazine, the leading publication and website for planners of all types of sports events held throughout the United States; Condo Owner, serving Alabama’s Gulf Coast and Florida’s Emerald Coast; and Crossties, an internationally known railroad industry publication. For more information, please contact Kayla Head, Marketing & Communications Manager, at (251) 968-7023 or khead@coveypubs.com.